Enviro Concepts is an industry leader in wastewater treatment and works with businesses across Australia to identify options for water treatment, water efficiency opportunities, and for waste water reuse. In wastewater treatment, suitable processes are used to remove contaminants or reduce their concentration in water so that the water can be fit for releasing to council sewers or recycled to be used again. Any process that makes water suitable for its application or returns it to its natural state is in the scope of water treatment. Water treatment normally applies to the treatment of lake, river, or well water to make it fit for downstream consumption – human use or industrial use. What Do You Need to Know About Your Water Quality? Water treatment consists of one of more processes designed to remove contaminants. There are virtually no pure fresh water sources on the planet and therefore to ensure a safe water supply, some form of treatment is required. It is therefore important to determine the water quality of the source water relative to its purpose or need. Enviro Concepts offers water treatment to filter water from natural sources. Several filtration methods can be used for processing greywater, rain water, ground water, sea water and brackish water to make it fit for reuse. Water filtration techniques can be used to create potable water that is fit for human consumption. 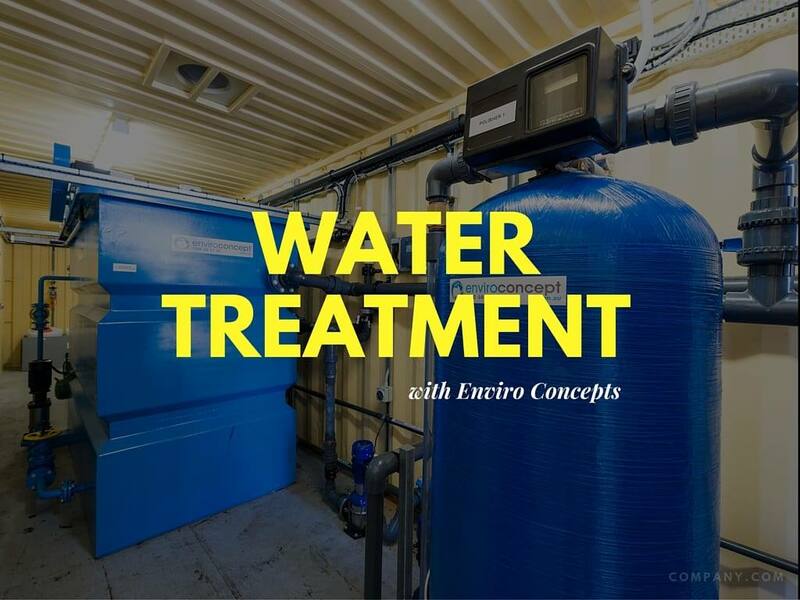 Enviro Concepts provides cutting edge system design for processing wastewater collected from residential communities or industrial facilities. Wastewater collected from homes, businesses and industrial facilities could contain suspended solids, oil and grease, hydrocarbons, chemicals, minerals, bacteria, organic, etc. If left untreated, this water would harm our environment and our communities. Drinking water can be produced from just about any water source. Untreated water could contain pathogenic agents, chemical pollutants, heavy metals and turbidity from soil or clay. Physical, chemical and biological processes are used to remove these contaminants. Water treatment in these cases can range from sand filtration or media filtration to membranes with reverse osmosis, and disinfection with chlorination to ensure that the water is safe to be consumed. Read more about potable water here. Well or Bore Water: The source of well or bore water is rain, which infiltrates the soil and moves quickly through sandy soils and reaches the water table. This source of water has been the preferred source of drinking water because of the perception that it is of a higher quality and less prone to contamination. That is not always the case. To ensure that the water is safe to drink, a combination of aeration, clarification, filtration and water treatment with disinfection is used. Desalination: Desalination is a process of removing dissolved salts and minerals from water, thus producing fresh water from sea water or brackish water. The salinity of water is based on the amount of dissolved salt and membrane separation is required to drive desalination process. Reverse Osmosis is a leading membrane filtration process used for desalination. Rain Water Harvesting: Rainwater can be collected from the roof and can be recycled for activities like irrigation or watering the garden, or it can be treated for human consumption. Rainwater harvesting and treating rainwater could include filtering suspended solids from water. Some of the common processes used are Micro Filtration, Ultra Filtration or using a Deep Bed Media Filter. Read more about rainwater harvesting on our website. Wastewater treatment involves processes to treat water produced as a by-product of industrial or commercial activities. By treating the waste water, or trade waste, water can either be discharged back to the environment, discharged to municipal sewer, or recycled to be used again for industrial processes. 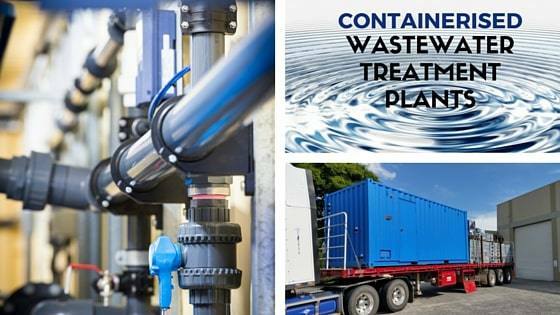 There are various filtration processes available for wastewater treatment. These are some of the many processes we provide at Enviro Concepts. Oil Water Separation: Trade wastewater from retail food industries, car washes, mechanic workshops contain dirt, grime, solids, oil and grease. Trade Waste from such businesses require pre-treatment to be compliant for discharge into the municipal sewer system. An oil water separator or our SIOS (Solids Interceptor Oil Separator) system filters oil and suspended solids from wastewater, rendering it compliant for discharge to sewer. Dissolved Air Flotation: The Dissolved Air Flotation (DAF) system is a filtration and clarification process that treats trade waste high in grease, solid waste, BOD, COD and heavy metals. The DAF is used to treat wastewater in facilities like truck wash stations, transport container wash down facilities, heavy equipment wash downs, oil refineries and petrochemical plants, food processing and abattoirs, etc. The process utilises an air dissolution process that is fundamental to the system’s high performance. For the DAF advantage, you can read our post on the subject. The DAF can be used both for treating water for discharge to sewer or as a pre-treatment to water recycling process. Water Recycling: Water recycling is an environmentally and economically viable solution to utilise and save water. Industrial processes require a lot of water and therefore Enviro Concepts water recycling solutions not just helps businesses meet compliance, protect the environment, but it also helps them get a good return on their investment. Our EL Series of water treatment recycling systems removes suspended solids, oil and grease and other contaminants in water, balances pH, disinfects with chlorine, and uses a polishing filter to ensure high quality filtered water suited for re-use. If you have any questions on water treatment, please visit the individual web pages send us your questions on our online form. One of our engineers will get back to you with a detailed answer within 24 hours.